We started with oysters baked in parmesan and garlic. 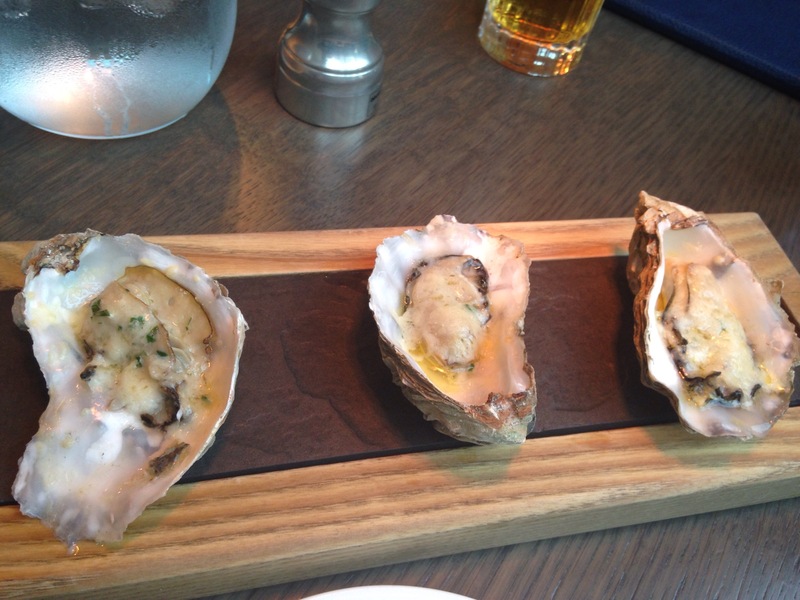 I’m not really a fan of oysters and thought I’d order this and see if I enjoy them baked. While they tasted fine, the parmesan overpowered the flavour and made the starter quite stodgy. 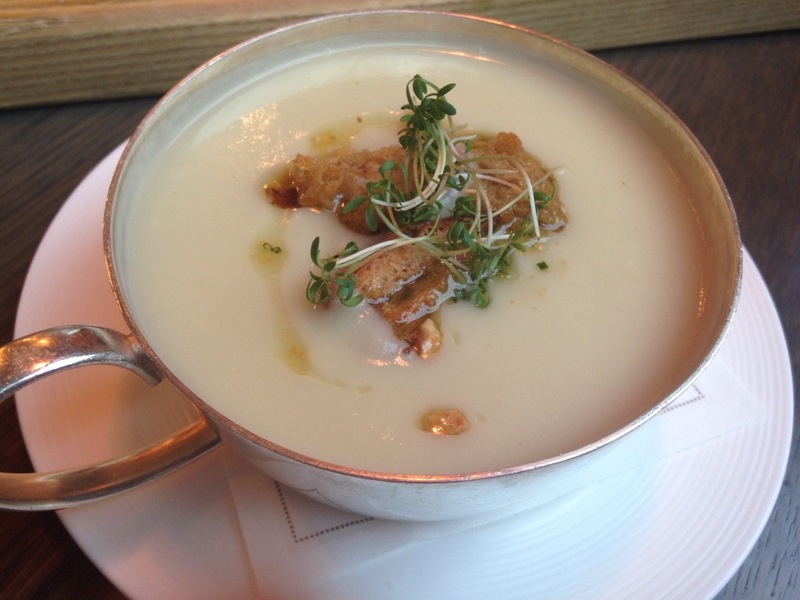 The Jerusalem Artichoke Soup with hazelnut dressing and sourdough croutons was fantastic. The hazelnut dressing complemented the creamy artichokes beautifully and was particularly enjoyable on a rainy day. Next up was the Lobster Pasta in Bisque Sauce. We had high hopes and were really looking forward to trying this pasta but unfortunately, it was disappointing. 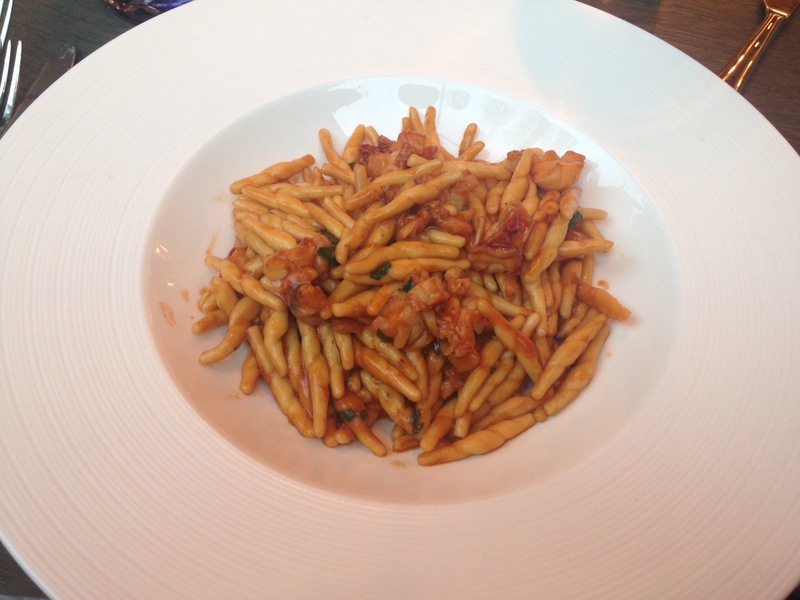 The pasta under cooked and there simply wasn’t enough lobster to make the dish worth £25.50. Very rarely do I find ‘gnudi’ on the menus here and I always get excited when I see it. 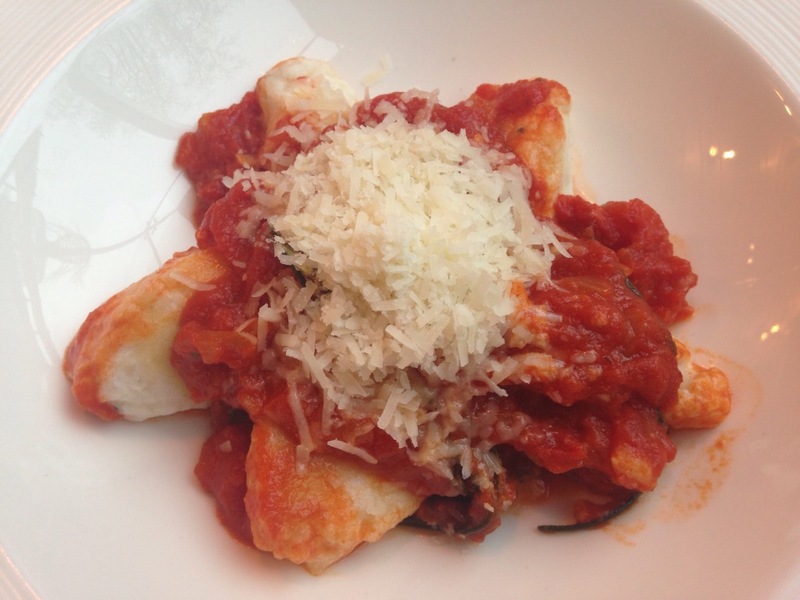 Gnudi are soft, melt-in-your-mouth ricotta dumplings that look a lot like gnocchi. 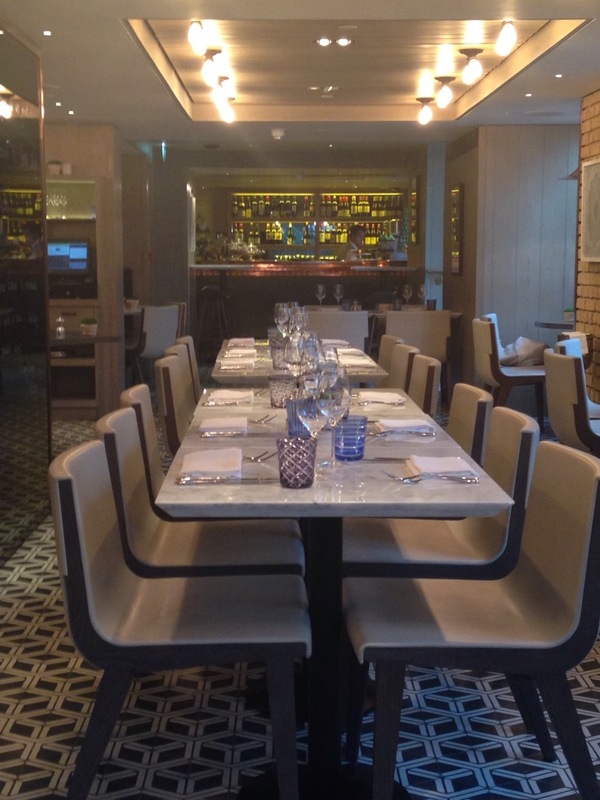 At Pont St, the gnudi is served simply with tomato sauce, parmesan and fresh, sharp rosemary. It was delicious. 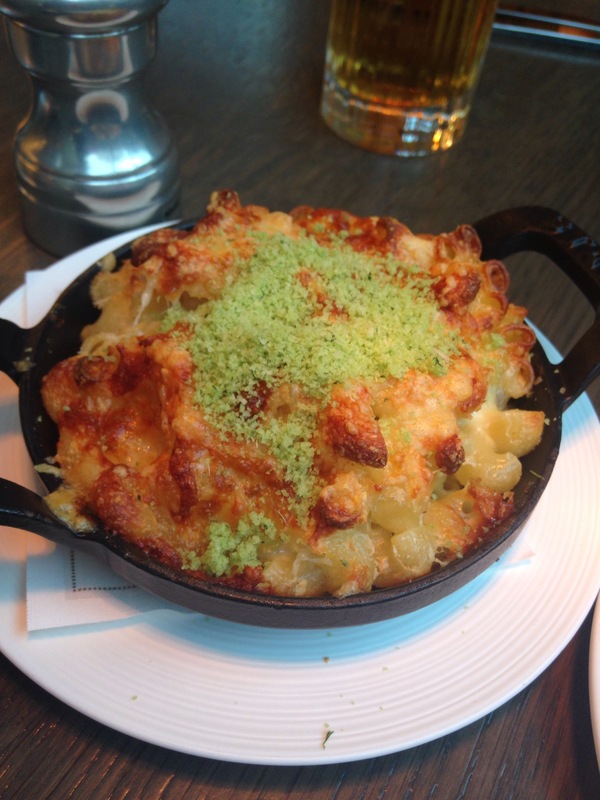 The ‘Super Gorgeous Mac and Cheese’ was highly anticipated and sadly, disappointing. It looked gorgeous but lacked flavour. It was also over baked and too crisp. 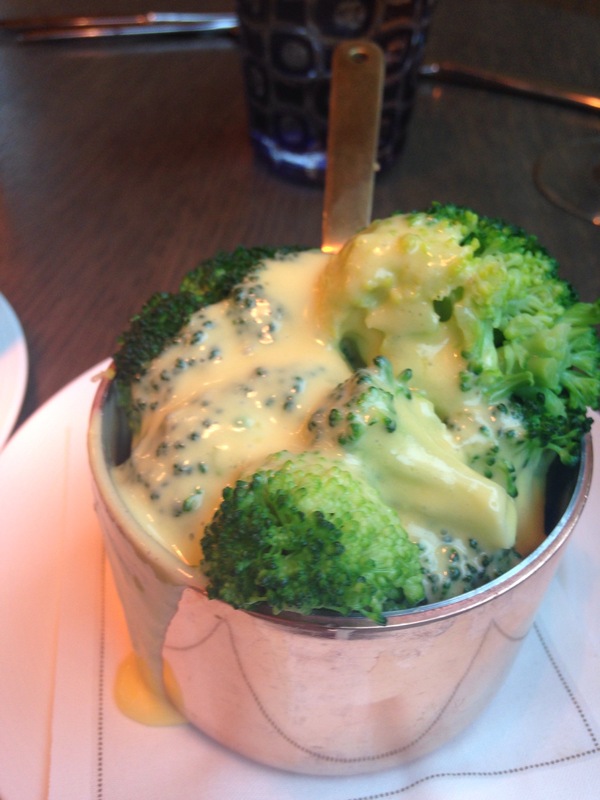 The steamed broccoli with hollandaise sauce was a hit, with little A in particular. He couldn’t get enough! We couldn’t leave without dessert and I had my eyes set on the Doughnut Balls filled with salted caramel. The salted caramel filling oozed out of the lukewarm doughnuts and while they tasted fabulous, we wondered why they weren’t served hot? 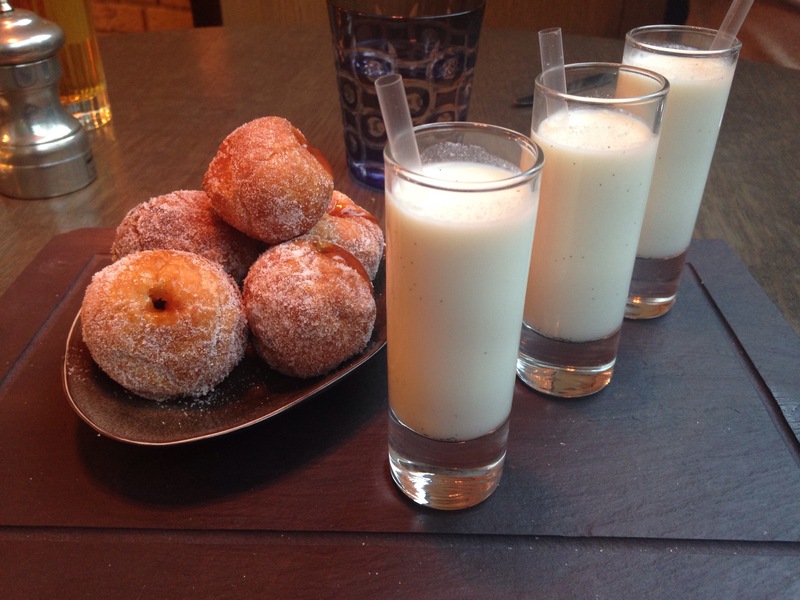 The dessert is served with a bland and runny vanilla milkshake. I wasn’t a fan but little A didn’t seem to mind and was more than willing to drink it all. It was an interesting meal. Inconsistent yet satisfying. Service was friendly and courteous, but slow. We had a fabulous time regardless. 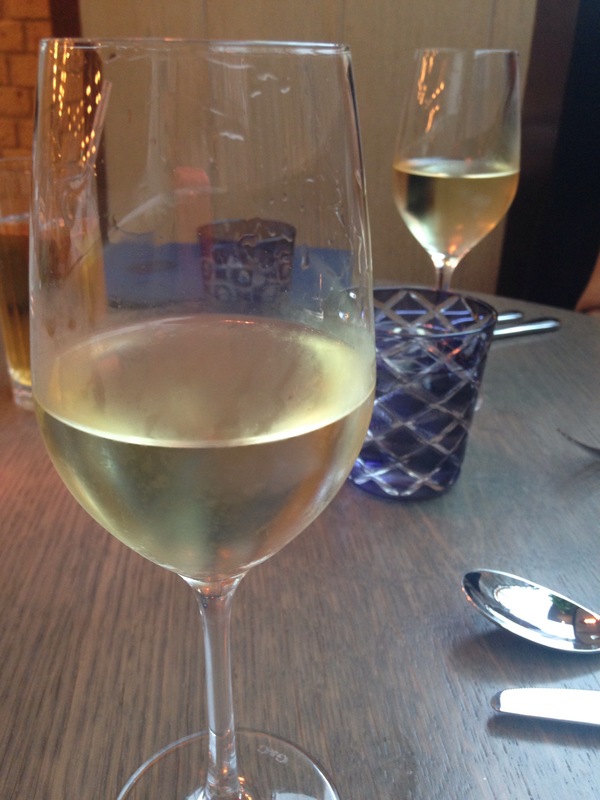 Thank you, Zomato and Pont St for a memorable family lunch!